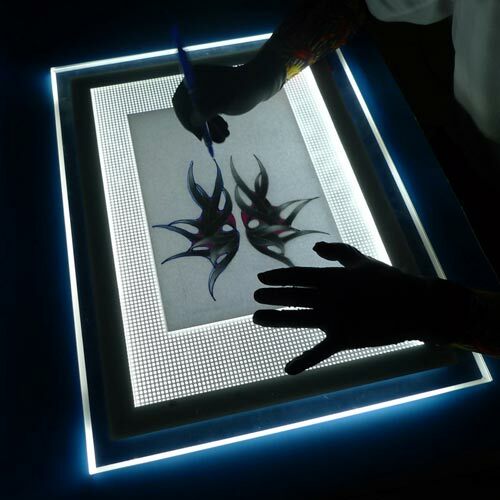 The professional tattoo stencil tracing light box is super-thin with plexiglass only ¼" thick and an overall height of just 1.25". It's ideal for traveling or to keep in a professional tattoo studio. Measures 14.5" x 18.25" overall with a large 11.5" x 15.25" lighted area for ample tracing space. 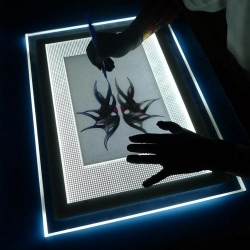 Tracing surface is made of plexiglass and is lit with energy efficient LED lighting. Comes equipped with power plug with integrated on/off switch (Input:AC100-240V 50/60Hz; Output: DC+12V/2.0A).